Masonic Rings, Class Rings, Championship Rings & Military Rings - J. Jenkins Sons Co. Inc.
Memories never have to end. J. Jenkins Sons Co., has been making class rings for high schools and colleges since 1903. We offer a large variety of styles, custom sides and stones to make sure the student is getting exactly the ring they want. 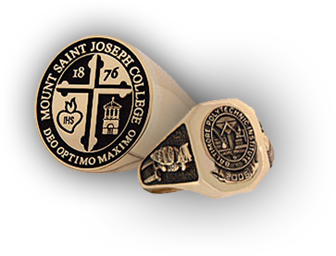 We have been making high school and college class rings since 1903. We offer a large variety of styles, sides and stones to make sure the student is getting exactly the custom class ring they want. With several fine collections of military rings to choose from, your military ring by J. Jenkins will be a commemoration to your service that you can wear with pride. Our large selection of service awards, service awards jewelry and service awards medallions can help you commend your staff in style. Want to customize your own? Just ask! J. Jenkins is well known for it's beautifully designed and crafted Masonic rings. Take a look at our vast collection and order yours today! J. Jenkins Sons Company of Baltimore has earned a phenomenal reputation over the last 100 years that we have been in business. What sets us apart from other companies in our industry is the fact that our focus is solely on our customer. We want to ensure that you have the perfect product for your needs, so our design team will consult with you to create a design that you can be proud of. From custom designed class rings and service awards, to military rings and more, we have a large selection of high class products that you can wear or display with pride. Our products are guaranteed to last forever, so you can count on exceptional quality when you come to us. Through the years of interacting and working with parents, students, teachers, administrators, managers, organizations, and other personnel in a range of industries, we have gained a great deal of experience and knowledge that has been used to foster the creation of every program within our company. This includes everything from our options and designs, to our website, company policies, and our guarantees and warranties. When you want a unique ring or service award that will be memorable and timeless, J. Jenkins Sons Company is the go to source. Contact us today to place an order or to learn more. J. Jenkins Sons Co. Inc.